Just because you live in a city doesn't mean your jogging scenery has to be dirty gutters, cramped sidewalks, and zero greenery. 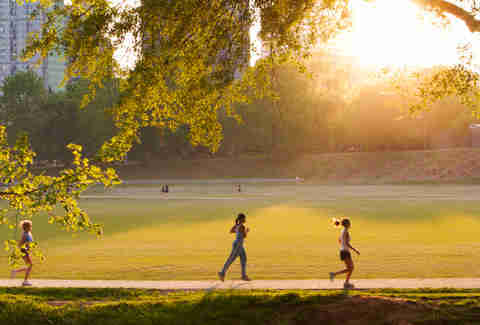 In fact, some of the most urban burgs in America have trails that’ll make any suburban fun-runner jealous, whether it’s with spectacular vistas, nature for days, or thousands of bats (that's actually a good thing). Don’t take our word for it -- look at them pretty pictures right down there. 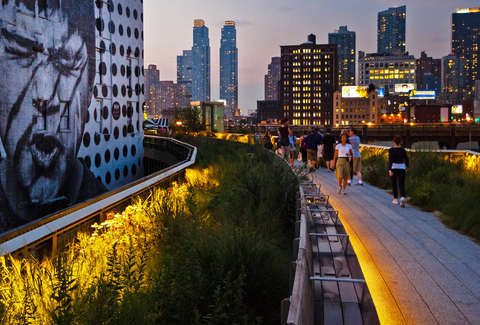 One of the most talked-about park projects in recent years, the High Line transformed an abandoned, elevated railroad bed into a park that stretches along New York’s west side. The High Line features art exhibits along its length, sections of the old railroad track, and views of the Hudson. The southern end of the trail leads to the Whitney Museum, making this trail perfect for every runner/Georgia O'Keeffe fan. Not every Philly run has to end at the Philadelphia Museum of Art with hands raised in triumph. In fact, the Schuylkill River Trail is an ongoing project that will connect paths along the Schuylkill River and eventually create a single, 130mi route that leads out of the city and into central PA. But, fine, a more manageable 10mi section runs by the Philadelphia Zoo and the art museum, for those who just can't resist the marble-mouthed call of Rocky. 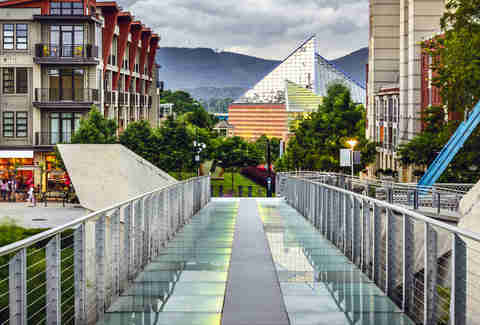 The Riverwalk stretches from the downtown Chattanooga area to the TVA’s Chickamauga Dam. The trail diverges from the river at one point to go through the Amnicola Marsh, which should make your final leg even more scenic or scary, depending on how many times you read Hound of the Baskervilles. You can also reward yourself with some gelato from Milk & Honey -- which sits at the end of trail -- because nothing keeps you motivated to run like a thousand calories worth of sugar. 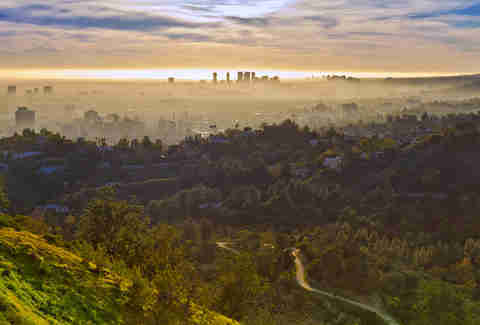 When people fight over LA vs. NYC, West-coasters often bring up places like Griffith Park. The park offers a variety of trails, but be sure to jog one that leads up to the Griffith Observatory, an LA landmark with great views and a public telescope for both kinds of star-watching. The rest of the park showcases native plants and wilderness, allowing for a glimpse of what LA looked like before Hollywood showed up. Ok, so a lot of these trails lend themselves to the casual runner, but what about those who want to really push it? 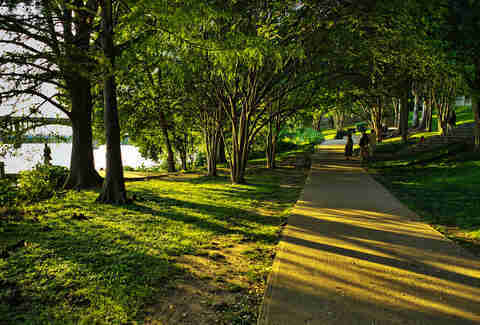 Check out Piedmont Park in Atlanta. While athletic opportunities like baseball diamonds and soccer fields are everywhere, the real gem is the half-mile running loop that can be reserved -- just like a restaurant but with 100% fewer well-meaning people refilling your water (that would be pretty creepy). 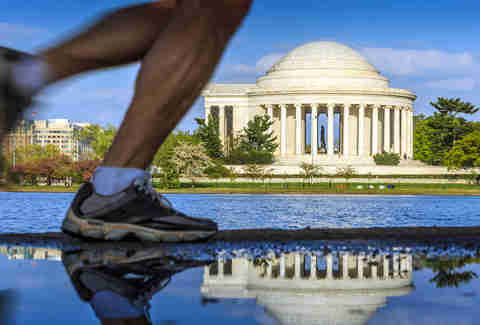 The Mall and Monuments trail is probably the best-known route in DC, passing through some of the city’s (and the country’s) most iconic sights. 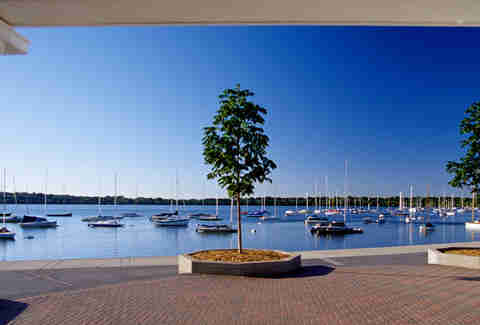 There are a variety of starting points, depending on whether you prefer the executive branch (White House) or legislative branch (Capitol Building), but seeing the Washington Monument and other memorials around the tidal basin is a must. Make sure to bring a camera, and maybe your copy of the Hamilton playbill. The park land surrounding the Colorado River in Austin is scattered with all sorts of bizarro features that stand out from your regular park. During the summer, you can run down to the Congress Ave Bridge spanning Lady Bird Lake (formerly Town Lake) and see over a million bats emerging from the underside of the bridge. Sure, the Butler trail encircling the lake offers all sorts of other cool stuff, like a natural springs swimming area and a modern steel boardwalk, but, you know, A MILLION BATS. The Chain of Lakes is a series of paths encircling six different lakes (way to think outside the box on the name, Minnesota), and offers 13mi of trails, perfect for timing your half-marathon... or just doing a mile and timing your 1/26th marathon. 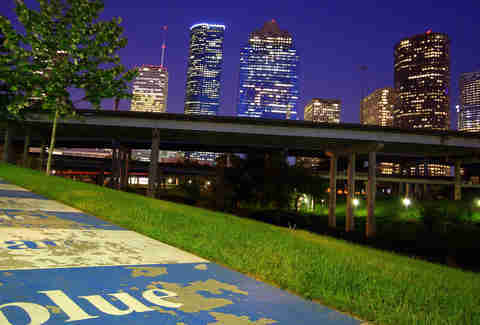 Buffalo Bayou Park meanders along the slow-moving river at the heart of Houston. The trail allows for views of both the river and the skyline while also giving you the chance to check out some of the park’s outdoor performance spaces. Also available right near the trail is one the biggest skate parks in the country, offering a truly Texas-sized 30,000sqft of shredding. Just don’t wear those running short-shorts to the skatepark, unless you like getting roasted by mean youths. 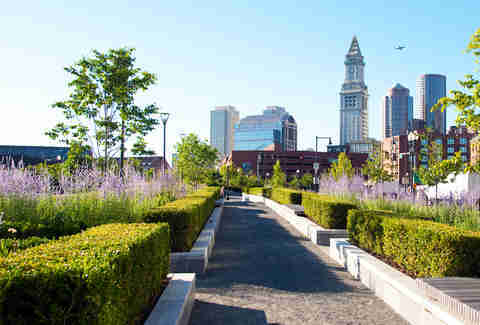 Although it's a pretty short trail, the Rose Kennedy Greenway packs a lot of attractions into a short distance. Fountains along the trail allow runners to cool off by getting sprayed with water, and rotating art exhibitions keep the sights fresh. Also a plus is the free public WiFi, so you can save your precious data plan for more important things, like ordering a bucket of mac'n'cheese when you're done running.